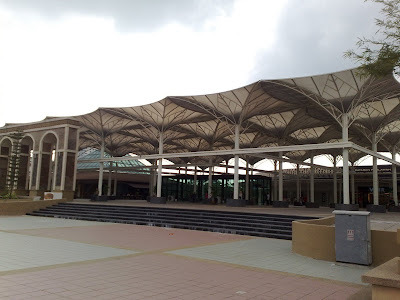 The day before yesterday, my cousin approached to me and ‘begged’ me, wanted me to send them to Dataran Pahlawan Melaka Megamall right after their church service, which will be 12.30pm. And well, again, everything went well as planned, except for the parking part. Since it was Sunday, thus, parking always full. 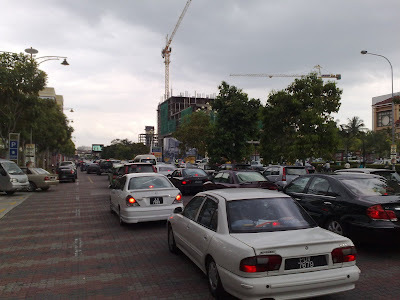 Look at the image below, traffic congested right outside Dataran Pahlawan Melaka Megamall and Mahkota Parade. 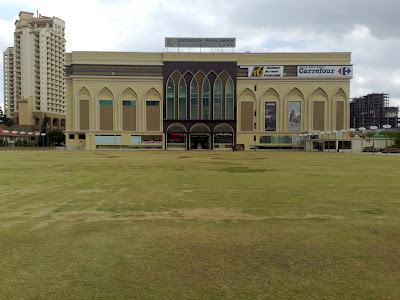 First sight when I looked at the Dataran Pahlawan Melaka Megamall, I will call it Megamall for short, it has changed a lot since I left Peninsular Malaysia for 8 months, just 8 months. Previously, the Megamall was built with 2 floors and wide. This time, there is a new attachment building right next to it, I don’t know when the Minimall Megamall has that particular new block, the thing is, I got a shock, just within these 8 months has this major change. Basically, the new block was built up to 5 floors and more emphasize on Carrefour. 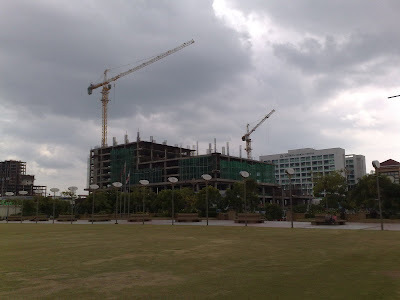 The best of all, the top floor of the main block has transformed the most, which are, there were a minor pathway and a huge field on it, sounds weird? Just look at the pictures below and you will get what I mean as I can’t describe it clearly. Note that, it is located at the TOP floor of the main block. The field will be used for certain special occasions, such as Flying Kite Competition. Now, there is a new block across the road, still under construction, wow. However, the new phrase will be known as Pahla1 Hotel, aka Pahlawan Hotel. The newer block will be linked to the new block with a bridge, the length of the bridge will be the same as the length of the road across, for sure. 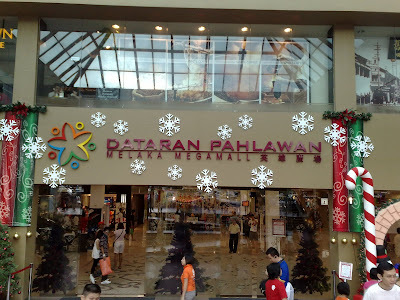 So, from my point of view, the Megamall has the concept of 1 Utama at Damansara Utama, which is, the building was built with the shape of a L, from top view. 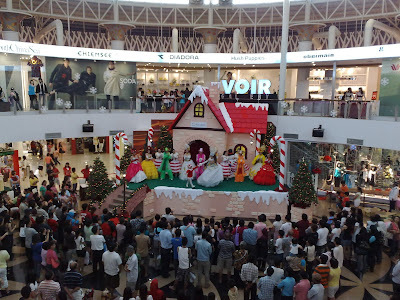 At the mean time, the main hall in Megamall was having a Christmas event, entertaining everyone in Megamall as Christmas is coming soon, 3 days from today. but my dad shop a lot. Haha, sure la boring if you compared it with KL.